Europe’s aviation industry leaders will gather in Bilbao this weekend (22-24 April) at the 13th annual Routes Europe to plan and negotiate new air services within the region. The event will bring together more than 1,200 delegates taking part in 4,800 meetings, with a diverse range of airline representatives from full service to regional low cost carriers travelling from all corners of the globe to take part in the event. Carriers in attendance include Vueling Airlines (official carrier for the event) easyJet, Lufthansa Group, Norwegian, Qatar Airways, Wizz Air, Delta Air Lines and China Southern Airlines. Over 100 airlines, 300 airports and 50 tourism authorities are expected in total. Routes Europe brings together airlines, airports and tourism authorities to develop air route networks. It moves to a new city every year to highlight the diverse aviation markets within Europe. The 2018 event is hosted by The Basque Government, The Provincial Government of Biscay and Bilbao City Council, with the support of Aena. Industry experts will explore the major challenges and opportunities for Europe’s aviation sector in a series of conference sessions, including: How Brexit will impact the aviation industry as Britain seeks to negotiate its exit from the EU, how terrorism is affecting tourism growth and the rising dominance of low-cost carriers in the European market. High-profile speakers include: Alex Cruz, Chairman and Chief Executive Officer, British Airways; Jochen Schnadt, Chief Commercial Officer, bmi Regional; Gordon Dewar, Chief Executive Officer, Edinburgh Airport; Rafael Schvartzman, Regional Vice President, International Air Transport Association (IATA); Maribel Rodriguez, Regional Director of Europe and LATAM, World Travel & Tourism Council. Since the inauguration of the Guggenheim Museum Bilbao in 1997, the Basque Country’s tourism industry has experienced significant and sustainable growth and now accounts for more than 6.1 percent of the region’s GDP. Bilbao Airport welcomed more than 4.9 million passengers in 2017, a figure that is expected to rise again in 2018. Low-cost carrier Volotea aims to develop four new routes to Vienna, Malta, Palermo and Malaga. 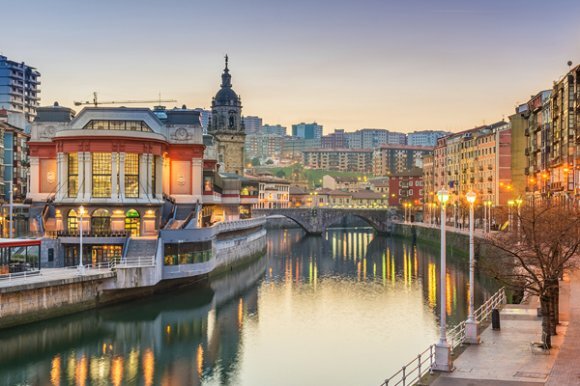 “Our hosts are commited to improving air connectivity of both Bilbao and the wider Basque region, in order to support their rapidly growing tourism and industrial sectors.” said Steven Small, Brand Director of Routes. Alfredo Retortillo, Minister of Tourism, Commerce and Consumption of the Basque Government, said, “Hosting Routes Europe 2018 in Bilbao positions Euskadi in the European spotlight, where new connections are valued and decided on in the medium and long-term. This is a unique opportunity to showcase our capacities and infrastructure to the region’s key decision makers, as well as the attractions of the Euskadi-Basque Country as a destination for travellers”. Arantxa Tapia, Minister of Economic Development and Infrastructures of the Basque Government, said, “Routes Europe is an opportunity to showcase Euskadi-Basque Country to the world as a highly connected territory and promote the destination to the people that decide where the region’s aircraft fly. It will allow us to demonstrate the potential of Euskadi’s airports, due to their strategic location in south-west Europe, with the added value of a complete and effective intermodality, thanks to all our infrastructures: ports, roads, railway network and logistics platforms”. Unai Rementeria, General Councillor of the Provincial Government of Provincial Government of Biscay, commented, “Welcoming events, such as Routes Europe, is possible thanks to the fact that our territory has all it takes to be the best stage for this type of globally important event. Bizkaia is currently one of the most attractive places in Europe for doing business, starting up or visiting, thanks to the work we are doing to connect Bizkaia to the world, one of the strategic axes the Regional Council focuses on”.